To those calling for Twitter to take action against President Trump's account, the company has a simple message: not a chance. Twitter (TWTR) said Friday that blocking or censoring the accounts of world leaders runs contrary to the social network's goal of fostering a "global, public conversation." "Blocking a world leader from Twitter or removing their controversial Tweets, would hide important information people should be able to see and debate," Twitter said in a blog post. "It would also not silence that leader, but it would certainly hamper necessary discussion around their words and actions." While Twitter did not mention Trump by name, the explanation of its policy comes after users called for the company to suspend or ban Trump's account following his tweet Tuesday night taunting North Korea with nuclear war. "North Korean Leader Kim Jong Un just stated that the 'Nuclear Button is on his desk at all times," Trump tweeted. "Will someone from his depleted and food starved regime please inform him that I too have a Nuclear Button, but it is a much bigger & more powerful one than his, and my Button works!" The comment ignited a wave of frustration and questions about Twitter's responsibility to prevent any user, including its most powerful one, from using the platform to threaten nuclear annihilation. One group projected the words "@Jack is complicit" at Twitter's San Francisco headquarters Tuesday night, directed at CEO Jack Dorsey. Friday's statement marks Twitter's first response to this latest wave of criticism and the clearest explanation yet on how Twitter thinks about its most high-profile user. Twitter has repeatedly said it takes "newsworthiness" into account when weighing whether to take action against an account that might otherwise violate its terms of service. And the president is, by default, newsworthy. "Our policy does [account for] newsworthiness as well, and that was requested by our policy team," Dorsey said in one interview last April. "So we're not taking something down that people should be able to report on and actually show that this is what the source said." Twitter used the same "newsworthiness" argument in September in response to calls to take down a tweet by Trump that North Korea's foreign minister described as a declaration of war. 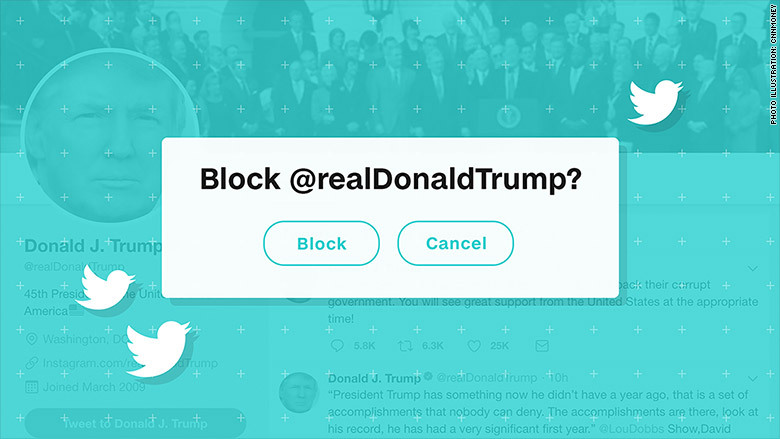 Some analysts, and some critics, have also suggested that blocking Trump would be bad for Twitter's business. 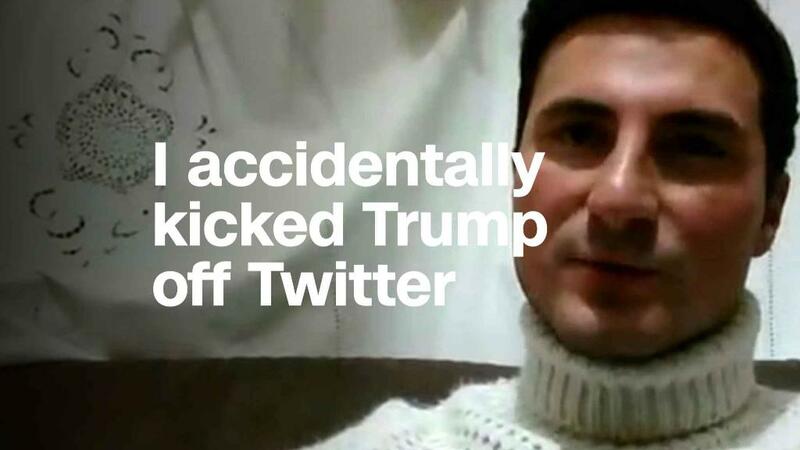 In the statement Friday, Twitter appeared to push back at the notion that its policy to block or not block Trump, or any world leader, is motivated by its bottom line. "No one person's account drives Twitter's growth, or influences these decisions," the company said. "We work hard to remain unbiased with the public interest in mind."